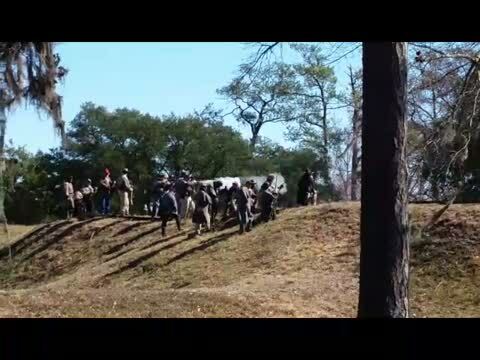 Video from Fort Anderson, February 13-15, 2015. 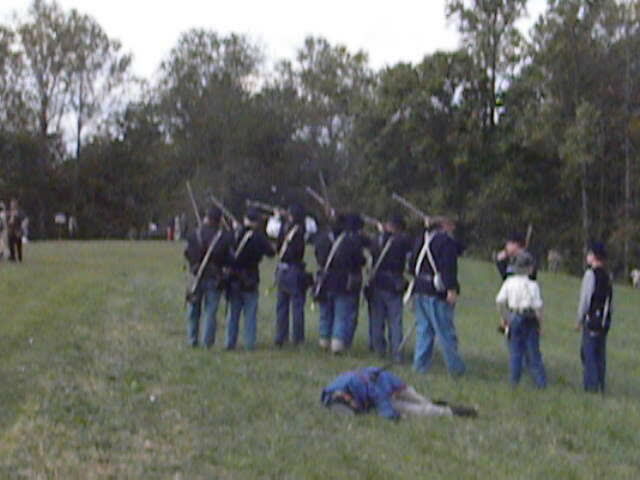 The video clips below are from Bost Grist Mill the weekend of September 6-8, and from JEB Stuart, October 4-6, 2013. 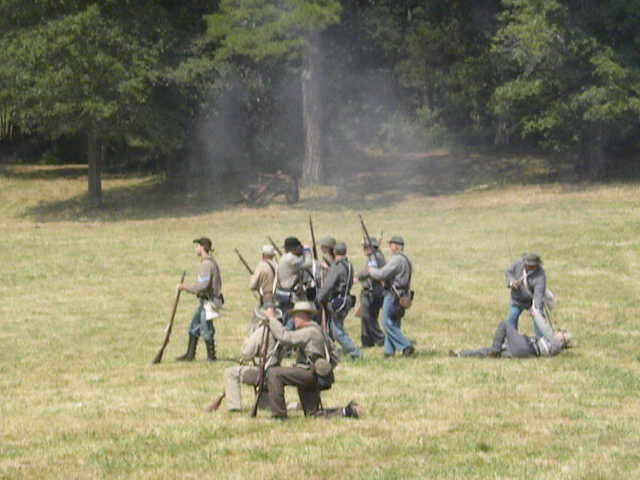 The cavalry at Bost on Saturday . 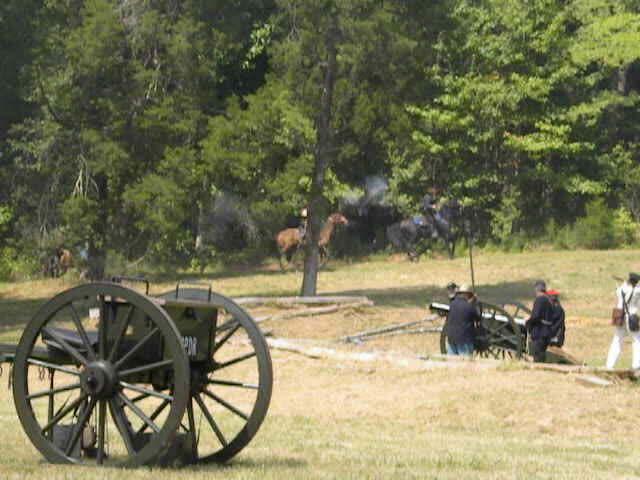 . . .
. . . the Saturday battle . . .
. . . and at the end of the day, the final Confederate push. It was a glorious victory! 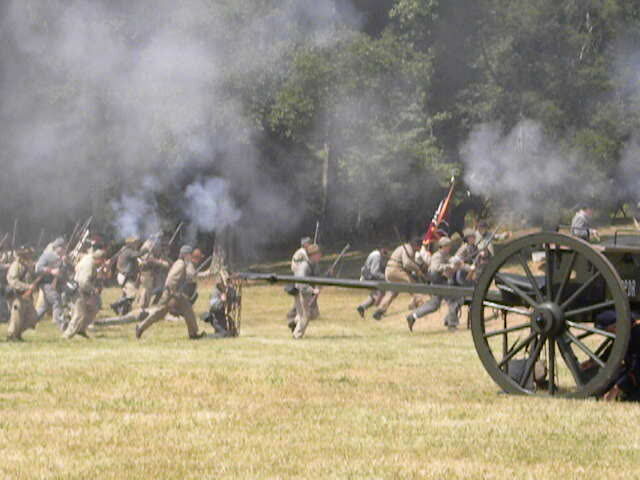 On Sunday at Bost, Federal troops pushed hard, forcing the Confederates to fall back on the fort. But we held on! 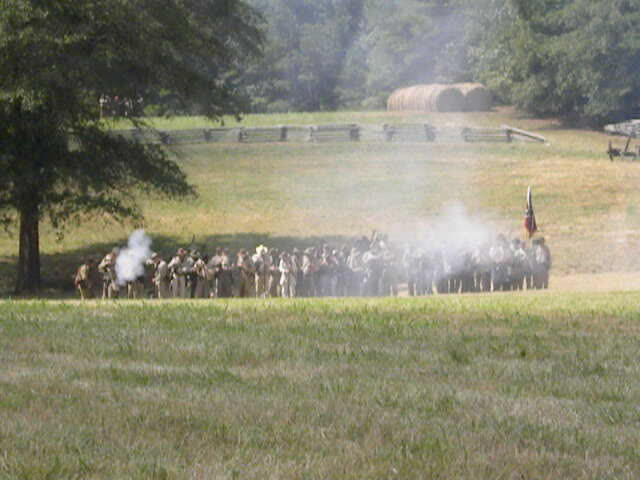 The first weekend of October in Virginia, at the JEB Stuart birthplace at Laurel Hill, Federal troops won a hard fought, costly victory.